Dundalk FM is a community initiative supported by 98 local broadcasters. Our next Information Evening for new volunteers will be on Thursday 13th September from 7.00pm – 8.00pm. All welcome. Here is a link to the Dundalk FM Membership Form 2018-2019. Continued Professional Development Training opportunities through internal and CRAOL workshops. 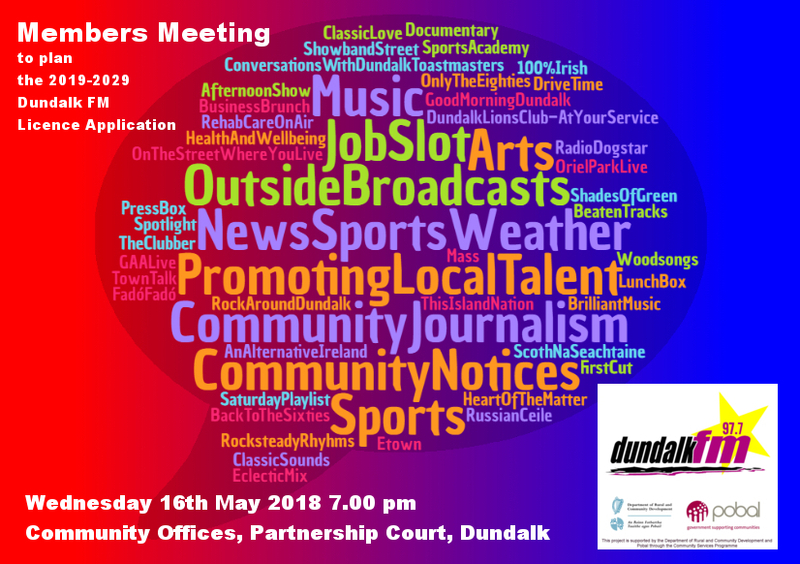 Eligibility to take part in sub committees and stand as a Director on the Board of Dundalk FM. 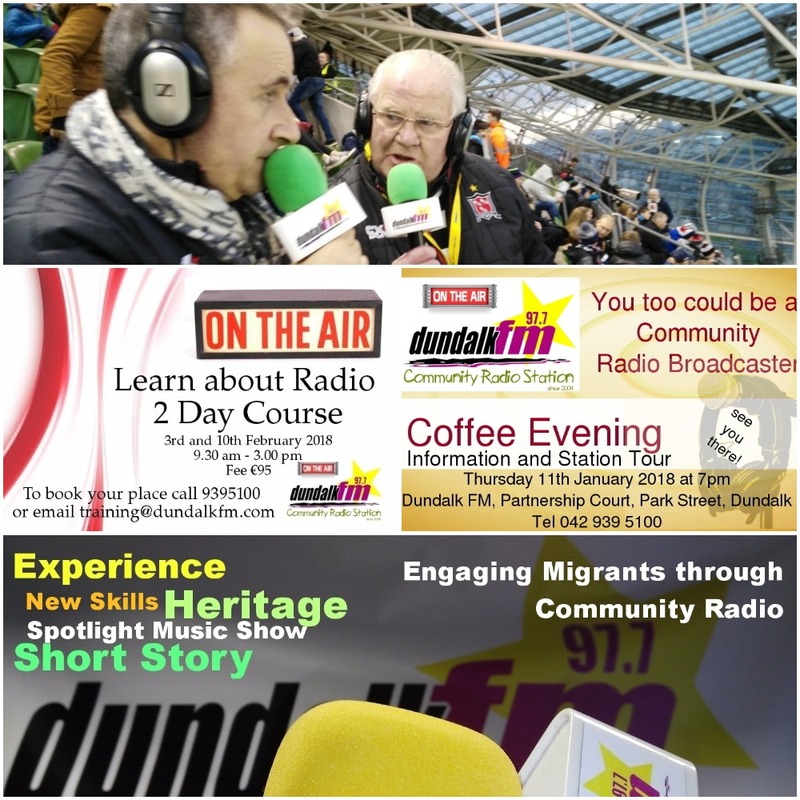 Submit a programme proposal and get a broadcast slot on Dundalk FM. Join a vibrant community radio network in Dundalk. Learn how to use the sound desk, portable recorder and to edit audio recordings. Improve your speech making and presentation skills.